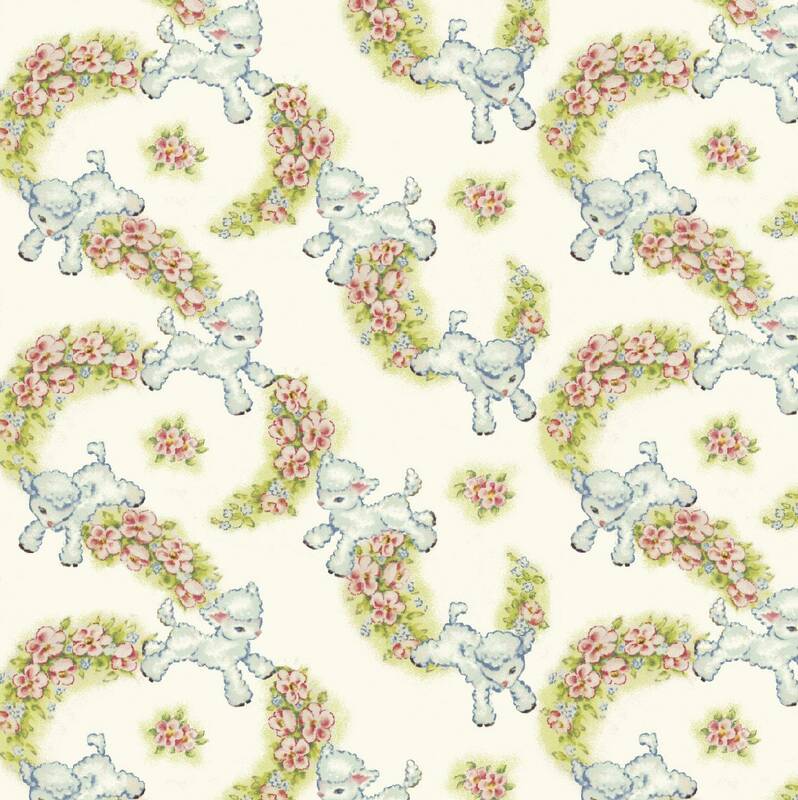 Another wonderfully sweet cotton baby fabric by Sara Morgan. 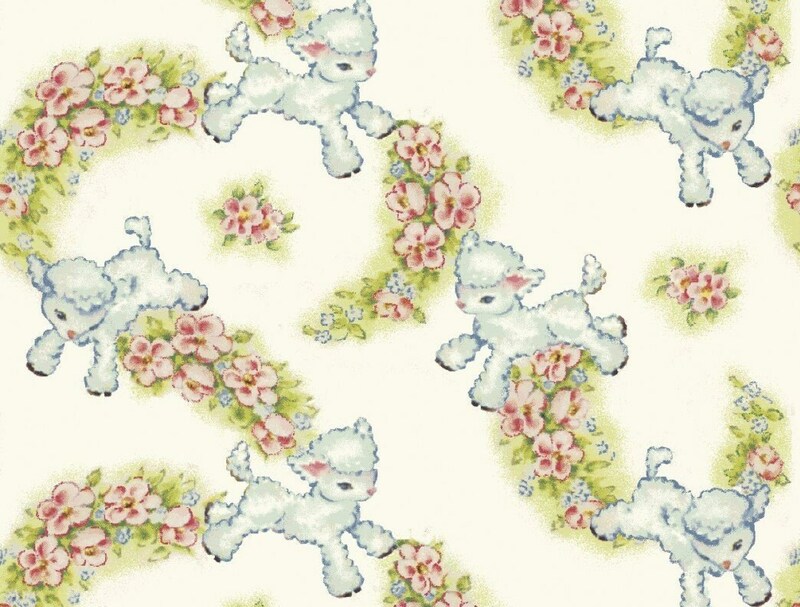 Sweet little lambs are frolicking across a sweet cream cotton background fabric, with such lovely pastel shades of blue, pink flowers and green grass. 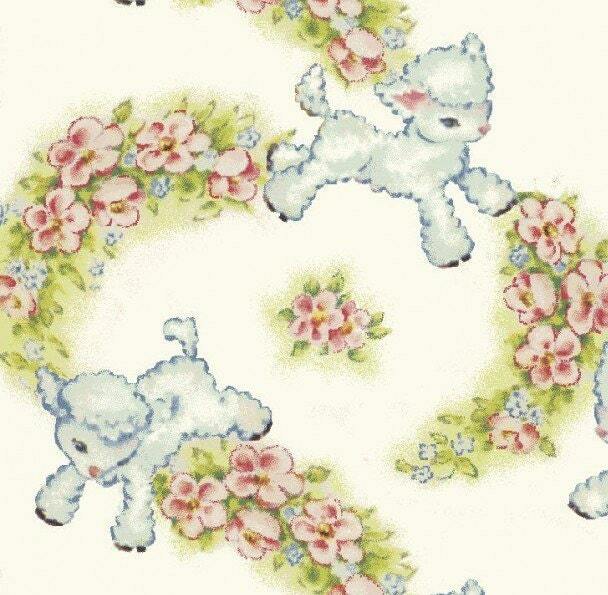 Add this wonderful fabric to your next project for that sweet baby to enjoy!